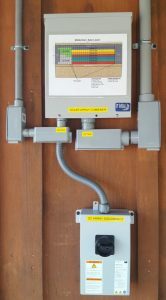 When you’re connected to the utility company’s “grid”, you’re dependent on a system you can’t see, control, or understand. You don’t know if the power will stop flowing to your house or not. You don’t control the price you pay per kilowatt. Most people don’t know how the power was even created. This is the most important point of living “on the grid”. The utility company creates power with hydro-power plants, fossil-fuel plants, and nuclear power plants. These are not good for our environment and cause irreparable damage. A hundred years ago, people were only interested in having electricity for lighting, cooking, and refrigeration. Later, we got comfortable in our homes with central heating and air conditioning, radio, and television. Today, we are largely dependent on electricity for everything we do. That’s fine but our methods of generating electricity are irresponsible toward the environment we live in. 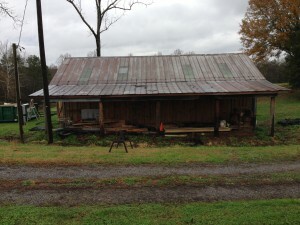 Why not live “off the grid” and use the natural energy from the sun? Most of the electronic devices we use today actually operate on DC power and use power converters/power supplies/power adapters to change the voltage from AC to DC. DC power is much more efficient than AC power. Today, large appliances, such as freezers and air conditioners, and lighting for interior and exterior are available for DC voltage. Battery storage seems to improve everyday and can supply your home for up to 7 days without sun. You can live more responsibly and say ‘goodbye’ to those ever-rising utility bills. SSNGA is the Georgia and Caribbean dealer for the solar panels shown in the above pictures. These panels lock together to form a load-bearing walkable, weather-tight, energy-producing roof system. The “clay tile” system is actually a fiber-reinforced, polypropylene material resistant to impact and ultraviolet rays. The system is vented as part of its design and mounts directly to our structural, FG Super Solar Purlin to create an aesthetically-pleasing roof which will create power for more than 25 years. When linked together, the panels produce DC power to charge an array of deep-cycle rechargeable batteries which also have a life span of more than 25 years. 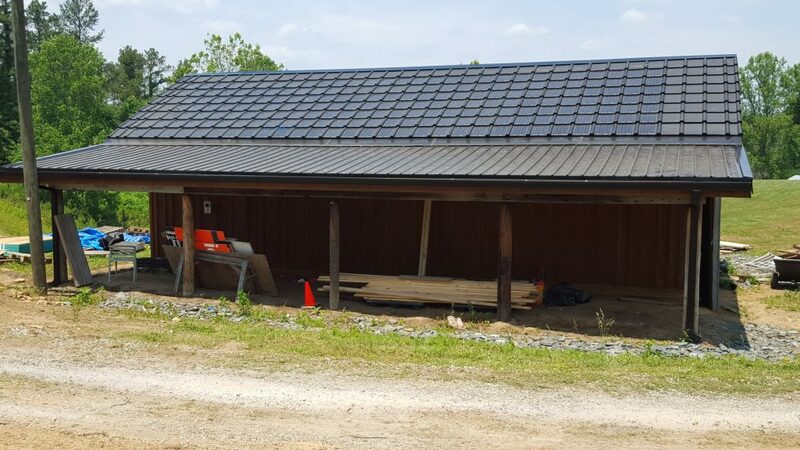 In the example below, the south elevation of a renovated barn at the SSNGA headquarters provided the surface area to mount 266 panels of which 198 are solar power producing panels and the remaining panels are trim panels. This array produces enough power to meet 50% of the total power required to run the entire farm. More tiles will be added soon to the lower section of the barn roof to generate more power and energy storage will be added to make the farm independent from grid power. Click to view the video describing the installation. Contact us for a free consultation or tour today!